That's exciting- to have a candle collection created and inspired by you?! That is what happened to the very beautiful Kelly Killoren Bensimon. Crafting Beauty, the private label fragrance manufacturer behind the French made candles of Harrods, the Ritz Paris and the Fontainebleau Hotel to name a few, is launching a candle collection inspired by Kelly Killoren Bensimon. Francois Damide, founder of Crafting Beauty, takes his turn and creates his own scented candle brand. The first in the collection is Baiser ROSE, inspired by his muse Kelly Killoren Bensimon, who represents the iconic glamorous New York woman and a fashionable hardworking single parent. Francois Damide has known Kelly since her Editor days at Hachette Publications under ELLE ACCESSORIES and always has been impressed by her keen sensibility and feminine style. Kelly represents the charm and sophistication of New York City, coupled with the effortless understated elegance of the Hamptons. 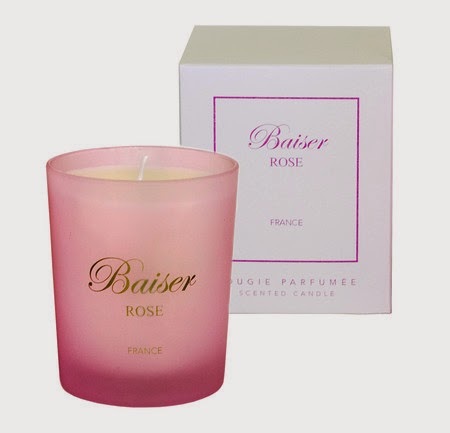 Baiser ROSE is made in the pure tradition of French craftsmanship; the scent was created by Grasse’s top Perfumers, using the best ingredients, mixed with a superior vegetal blend wax, with a lead-free pure cotton wick. Those combined elements bring a sophisticated scent and clean burn. The soft-frosted pink glass is “kissed” by an elegant gold decor. The fragrance embodies the purity and refinement of a bouquet combining rose, jasmine, carnation, and lily. Baiser ROSE evokes the feminine beauty of Kelly, capturing the timeless scent of summers in the Hamptons. This Made in France product, comes in a unique size of 7 oz. and will retail at $65 for a burning time of 55 hours. Scoop NYC will be the first retailer and online store to carry the candle, with a launch party set in their East Hampton location. “We are very excited to have the exclusive launch for Baiser ROSE inspired by Kelly Killoren Bensimon, and look forward to celebrating with a party in our East Hampton boutique.” - Susan Davidson, CEO & President, Scoop NYC.